Looking for a Portable Oxygen Concentrator that offer best-in-class portability? A portable oxygen concentrator that offer the lightest weight in it's class and the longest internal battery runtime in it's class? Our outstanding Lifechoice Activox Portable Oxygen Concentrator is ready to go when you are ready ! The Lifechoice Activox Pro portable oxygen concentrator will offer you an unprecedented battery life, will supply you a relaible oxygen delivery , thanks to it's unique Pulse-Wave oxygen delivery technology. No carts or Tanks required !! The Lifechoice Activox Pro Portable oxygen concentrator is FAA- Approved for Air travel. LifeChoice Activox 4L is tank-free. A powerful rechargeable internal battery keeps the system running for up to 10.25 hours so you don’t have to worry about running out of oxygen when out and about. Buy now the Lifechoice Activox and start break boundries yourself! We at P-MediCyp Ltd are the leading source of Portable Oxygen Concentreators in Cyprus, South Europe and the Mediteranean Sea area. Portable Oxygen Concentrators is our expertise for the past 15 years and since their inception in the year 2000. We at P-MediCyp Ltd are proud to be able to offer oxygen therpay patients a great device to maintain their independence and mobility. It is has been proved that the use of portable oxygen concentrator will help you increase your stamina throughout your day to day activities. 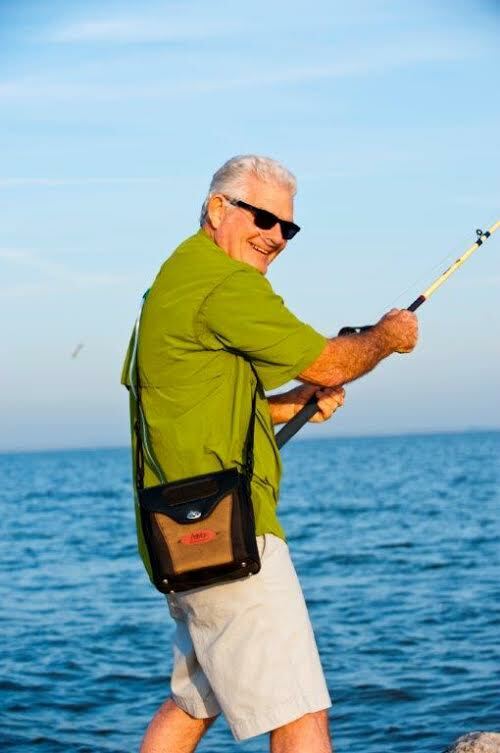 With our Lifechoice Activox Portable Oxygen Concentrator you will get your spontaneity back ! Purchase now at P-MediCyp Ltd the Lifechoice Activox for life with no compromises. 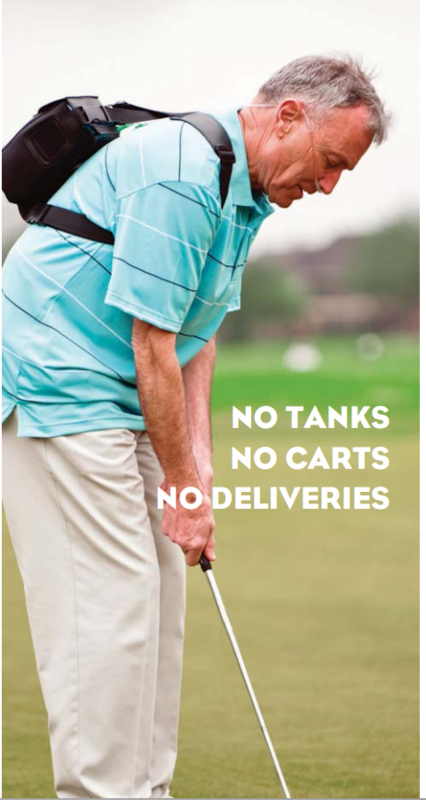 The Lifechoice Activox portable oxygen concentrator is a great option also if you have higher oxygen requirements and don't want to compromise on battery life or weight ! The Lifechoice Activox portable oxygen concentrator is so easy to use and will surely contribute for a better compliance. The display ( 4 litter Model Control Panel) of the Portable Oxygen Concentrator has an easy to read , clearly stated alarms that offer users a peace of mind during operation. The control panel of the Lifechoice Activox enjoys simple controls to adjust settings. The Mute feature in the Lifechoice Activox that allows patients to disable audible alarms when being discreet is most important. Also, the control panel of the Lifechoice Activox has an internal and extermal battery bars that makes deciphering charge levels easy. Another great benefit- The display screen on the control panel keeps you informed with clearly worded text. For example, if you are low on battery power, the message “LOW BATTERY” is shown on the screen. If you are charging the battery, the message “Charging Internal” or “Charging External” is shown. The display screen makes it easy to figure out alarms and constantly know the status of your POC. Would you like to hear some more about our best in class portable oxygen concentrator? The Auto Mode Technology automatically adjusts therapy based on demand. What is exactly the Pulse-Wave Oxygen delivery Technology? The oxygen is delivered congruent with the patient's inhalation rate that a full dose is received and no oxygen is wasted. Thanks to the Pulse-Wave Technology of the Lifechoice Activox Pro, the side effect from retrograde flow are minimized. What makes the Lifechoice Activox technology so unique? Very generally, the unique Auto Mode Technology means that the Lifechoice Activox Portable Oxygen Concentrator will automatically adjusts breath trigger sensitivity to support shallow breathing during periods of rest. Also, the Lifechoice Activox POC will switch between modes automatically. 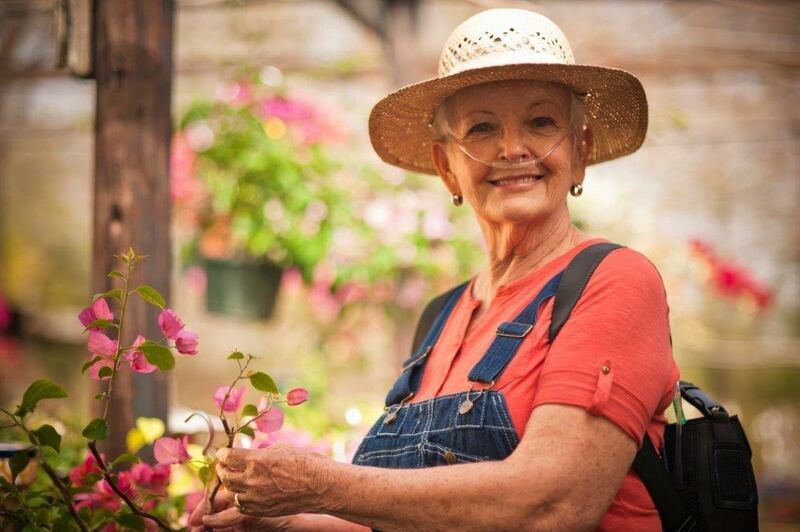 Another beneficial and unique technology of the Lifechoice Activox portable oxygen concentrator: the Repressurization Technology- to prolong the life of the sieve beds, the portable oxygen concentrator will automatically repressurize itself if not used in a period of one or more days. Compressors will run for a few seconds: no action is required. What does the standard package components of the Lifechoice Activox include? This outstanding, innovative and reliable portable oxygen concentrator comes with a 4-way versatile carrying case with adjustable starps, configurated as a : Backpack, Shoulder bag, Waist pack and Briefcase. The Lifechoice Activox standard package include AC and DC power supply, Accessory bag and a 7 ft. Nasl Cannula. 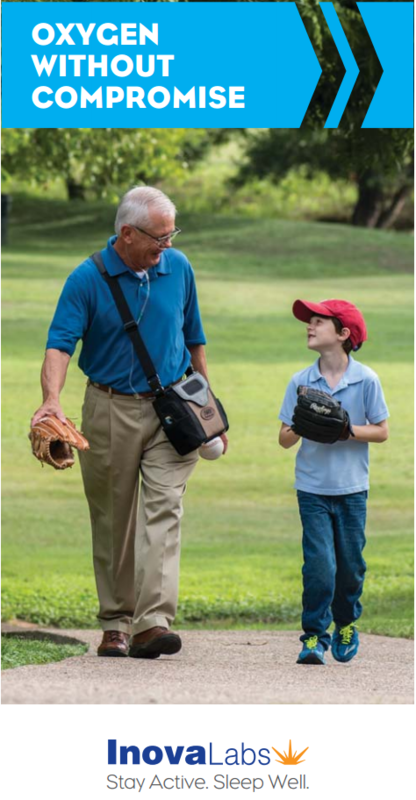 Lifechoice Activox Pro offers the longest lasting internal battery compared to other portable oxygen concentrators weighing less then 5 pounds. An additional external battery (optional) can add up to 3 hours of additional runtime making it the perfect solution for travelers and people on the go. At only 4.8 pounds, the 4L model is light enough to carry throughout the day. Each unit comes equipped with an adjustable bag that configures into a shoulder bag, briefcase, waist pack or backpack for true hands-free portability. Traveling with Oxygen was never so easy. 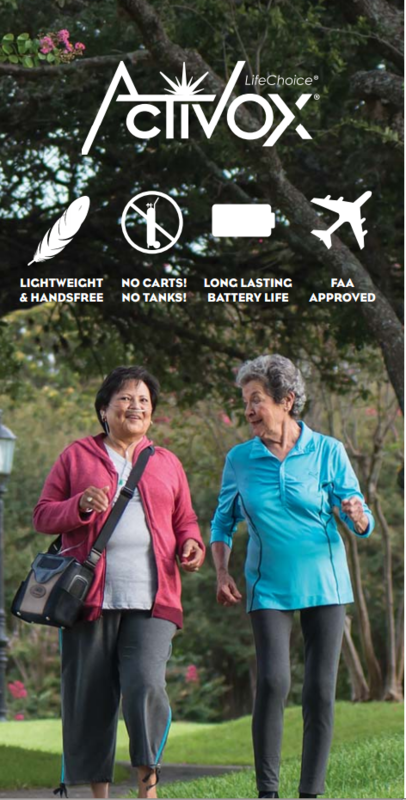 The LifeChoice Activox Portable Oxygen Concentrator is FAA-approved for airline travel. First, contact your airline well in advance of your trip to inform them that you will be using an FAA-Approved Inova Labs Lifechoice Activox Portable Oxygen Concentreator during your flight. Ask them what documentation they require you to have. Verify your Lifechoice Activox Portable Oxygen Concentrator has the requires FAA label on the bottom of the device. Get yourself familiar with and understand how your device works- troubleshooting, alarms, etc. The user is the best one to know how to solve a problem as opposed to the flight attendants. At the Airport, when you arrive at your gate, make sure you tell the agent you will be using a portable oxygen concentrator on the aircraft. The FAA requires passengers traveling with portable oxygen concentrators to carry a statement from their physician specifying their medical need for oxygen and prescribed flow rate. Ask the airline for their specific airline form. For additional information on traveling with portable oxygen concentrators and to view the airline's oxygen policies for documnetation showing POCs they have approved for in -flight use. Be advised that thes tips may not be the only information required for your airline. The U.S. Department of Transportation has established a toll-free hotline to provide general information to consumers about the rights of air travelers with disabilities and respond to requests for printed consumer information as well as assist air travelers with time-sensitive, disability-related issues. Non -US residents are required to purchase the Lifechoice Activox through a provider in his vicinity. We are able to help , sell and service in Cyprus, Europe and the Middleeast.
" This newest generation oxygen concentrator, with it's unique and portability will have a profound effect on these patient's quality of life and should improve their longevity"
Lifechoice Activox portable oxygen concentrator will give you a true freedom and mobility, anytime, anywhere. The portable oxygen concentrator that will help you stay active. The LifeChoice Activox POC is currently available in Europe and the Middle East. Non -US residents including Cyprus residents are required to purchase the LifeChoice Activox through the providers that are listed in the Manufacturer list of International Providers here. P-MediCyp is listed as a POC offical Europe provider so you can rest assured you are buying from the right place. Oxygen users who bought the Lifechoice Activox Portable Oxygen Concentrator were also interested in the XPO2 Portable Oxygen Concentrator that is able to supply up to 5 Litter Per minute equivalence of oxygen.